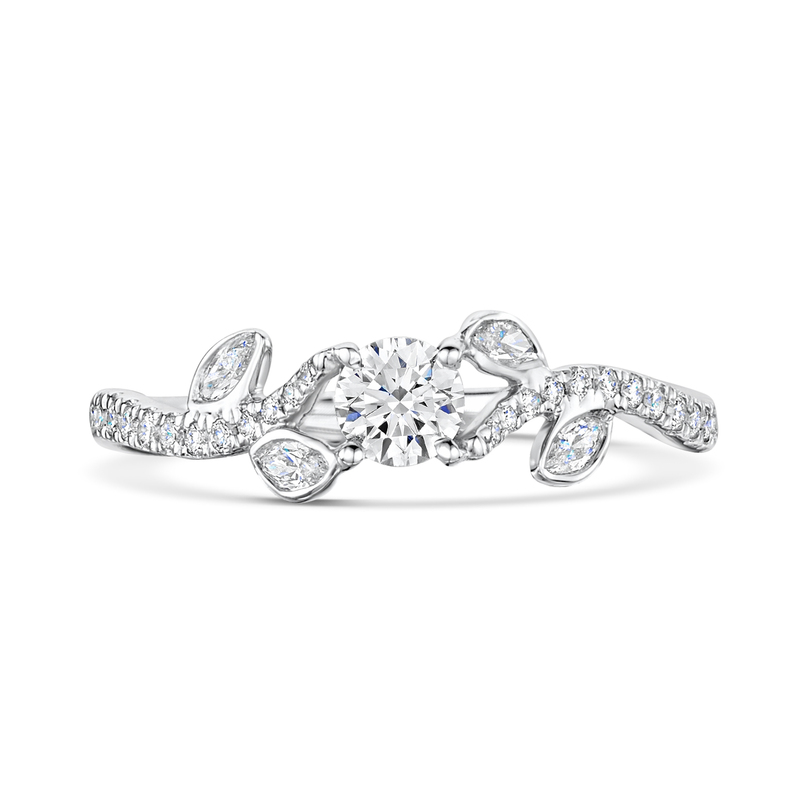 Ivy Diamond Solitaire Engagement Ring. 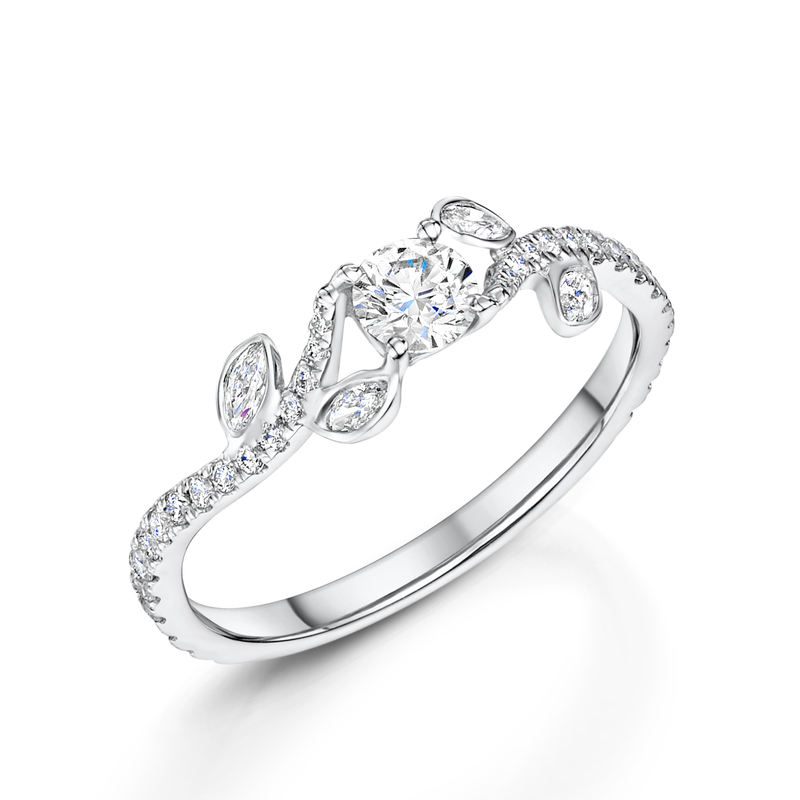 0.25ct Centre Diamond Set Into Our Ivy Designed Ring. 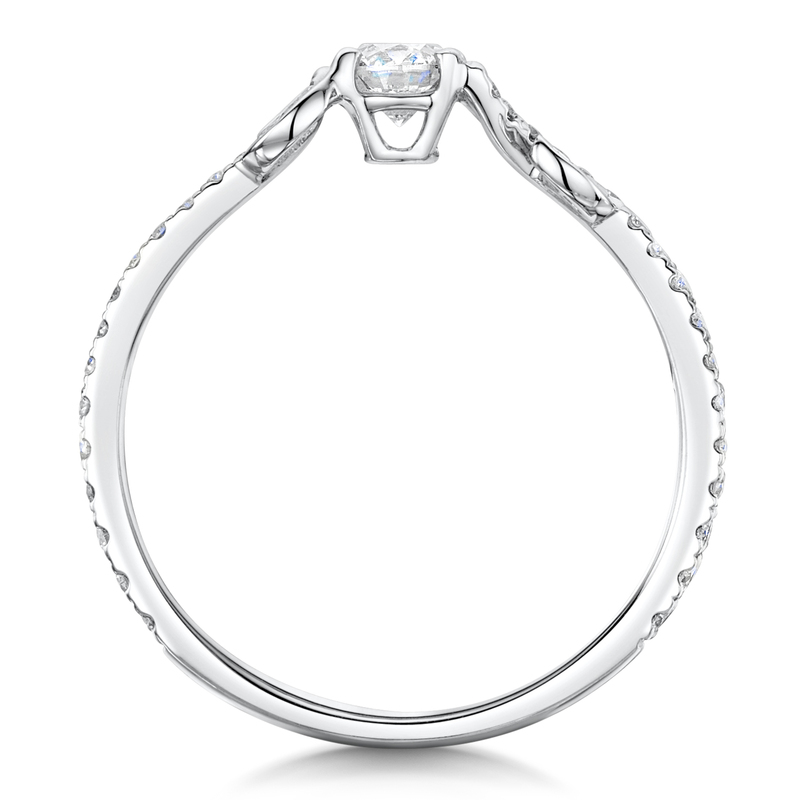 Crafted In 18ct White Gold and Complimented With 0.25ct Shoulder Diamonds.